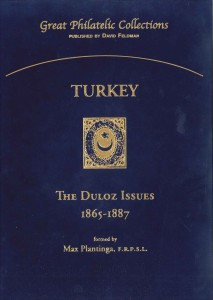 The Duloz Issues, 1865-1887 formed by Max Plantinga. The postage and postage-due stamps used in this period are the same in design, except for the different values expressed by their respective numerals in the four corners. The form but not the wording, of the overprint was changed several times. 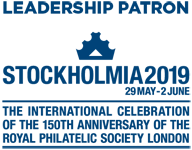 The first dies were made by Duloz and for that reason these issues are called “Duloz issues” as well.